K-House Keepsake Wine Basket from Tempo Vino Winery! Get your K-House Keepsake Wine Basket delivered for your stay, directly from Tempo Vino Winery! We'll coordinate it all! 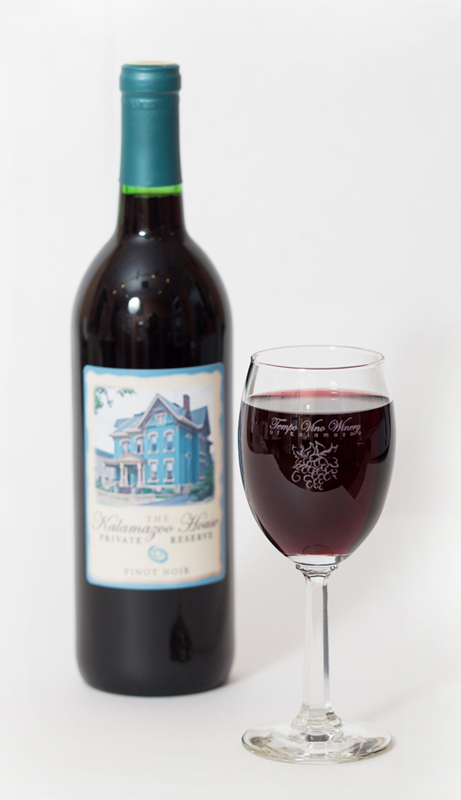 Charged and Delivered Separately--Your Wine Basket includes a keepsake basket, two souvenir wine glasses, and a bottle of private-labeled Kalamazoo House Pinot Noir from Tempo Vino Winery in Kalamazoo. NOTE: your basket order will be noted on your Kalamazoo House confirmations, but only noted—no charges from The Kalamazoo House will appear from us on your card related to this purchase.